Pedestrian navigation in buildings using the smartphone is one of today’s great challenges – the awareness of location has become a key factor to the development of Smart Mobility in public buildings. However, the achievable accuracy of today’s systems for smartphone localization lack the precision and reliability required for many applications. Blind and visually impaired people are among the most challenged by the lack of navigation in public buildings. One of the most critical aspects of visual impairment is the dependence it creates on sighted individuals. Many blind people rely on the traditional white cane that allows to avoid nearby obstacles, yet it does not solve the orientation problem in large and complex buildings. A precise navigation system for smartphones, which many blind people have and frequently use, could improve their overall life quality without additional cost or effort for them. 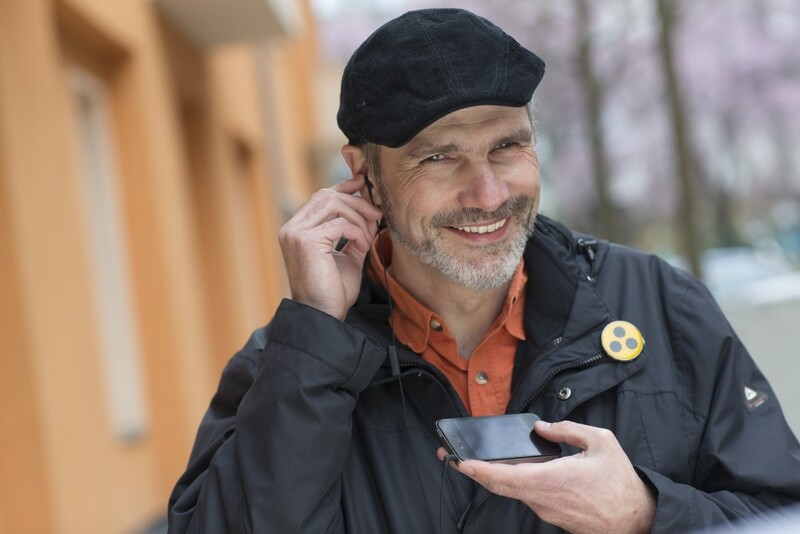 Telocate ASSIST is an approach of the German company Telocate to introduce a high precision location infrastructure for guidance of blind and visually impaired people into the European public sector. ASSIST consists of an application for smartphones and specially designed acoustic receivers to be installed in a building. The navigation system enables people to locate themselves in buildings up to a precision of 20 cm. The frontierCities project FIWARE-ASSIST of Telocate uses FIWARE General Enablers (GE) that place the system architecture on a solid basis in terms of software design and also accelerate the development process. The speed-up is achieved by the ability to re-use existent APIs of FIWARE and by a reduced amount of time for testing self-developed APIs, as reference implementations for GEs are available that have been tested in practical studies. The project FIWARE-ASSIST has received funding from the European Union’s Seventh Framework Programme for research, technological development and demonstration through the frontierCities accelerator programme (grant agreement no. 632853) under the sub-grant agreement no. 006.